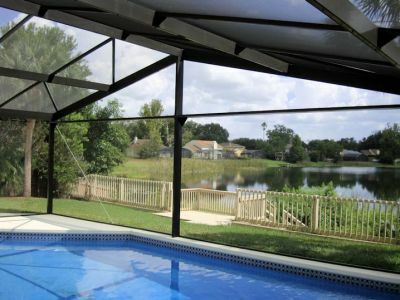 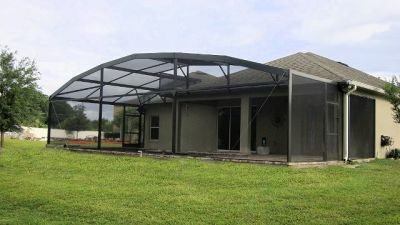 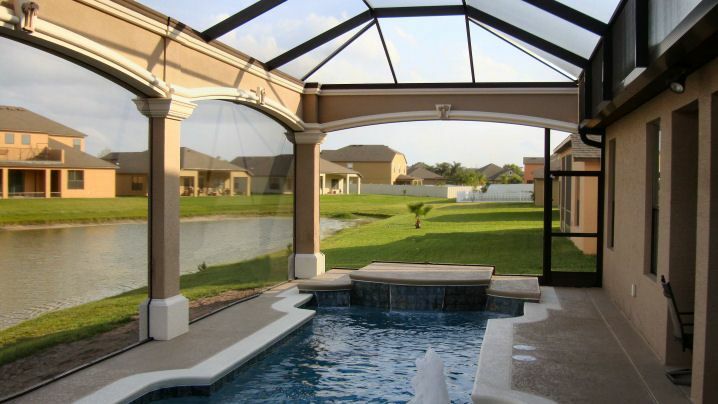 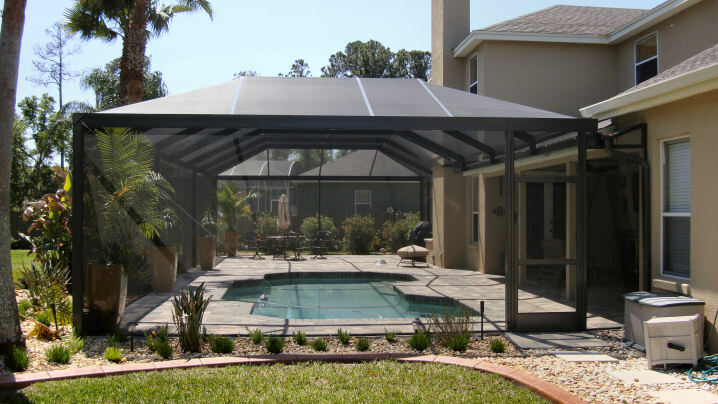 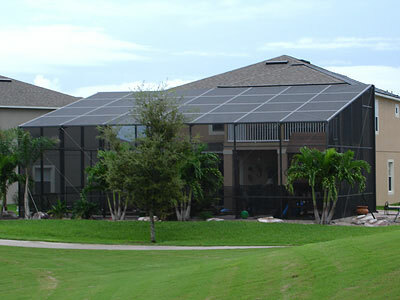 Pool Screen Enclosure Styles - Orlando and Central Florida - Summertime Screen. 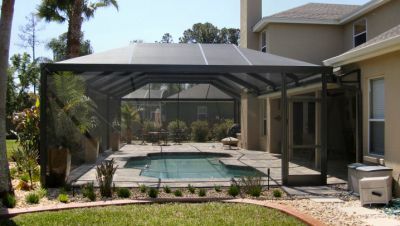 This is the Classic Dome Style Pool or Patio Enclosure. Get yours with or without a lower horizontal chairrail for a better view, and panel spaces 16' to 17' feet wide and beyond. 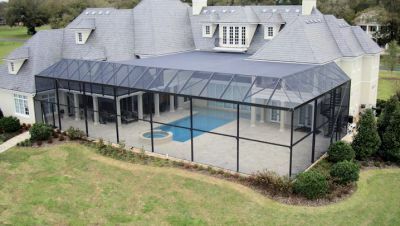 Mansard Style Pool Enclosure, angled on all sides and flat in the middle. 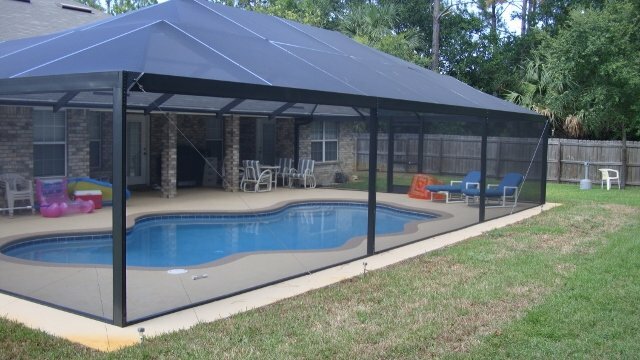 2 Story Swimming Pool or Patio Enclosure.